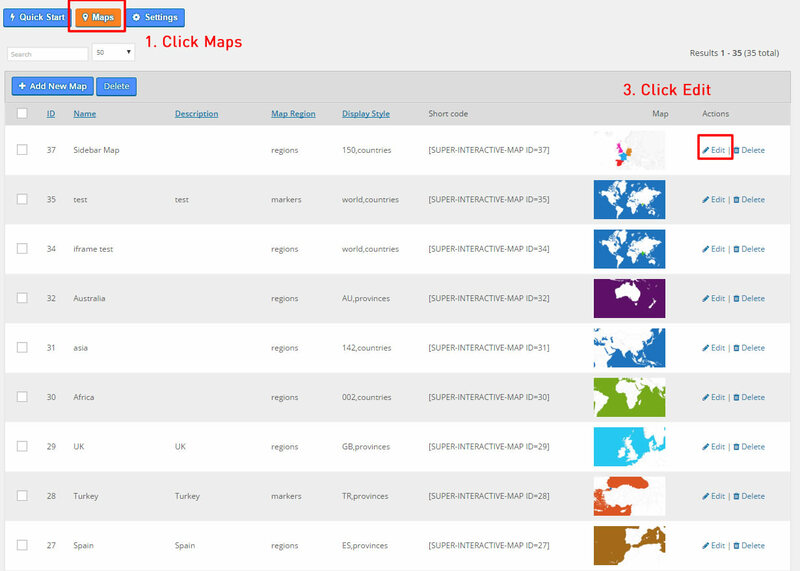 * Click on the images below for larger view. 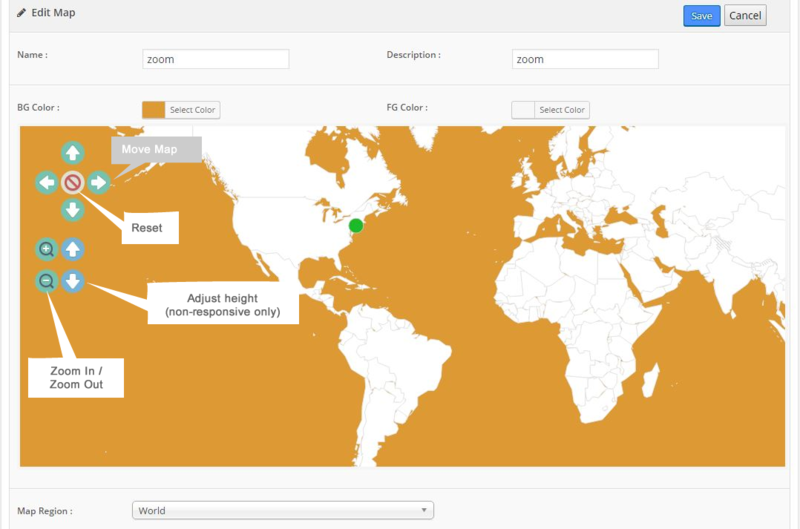 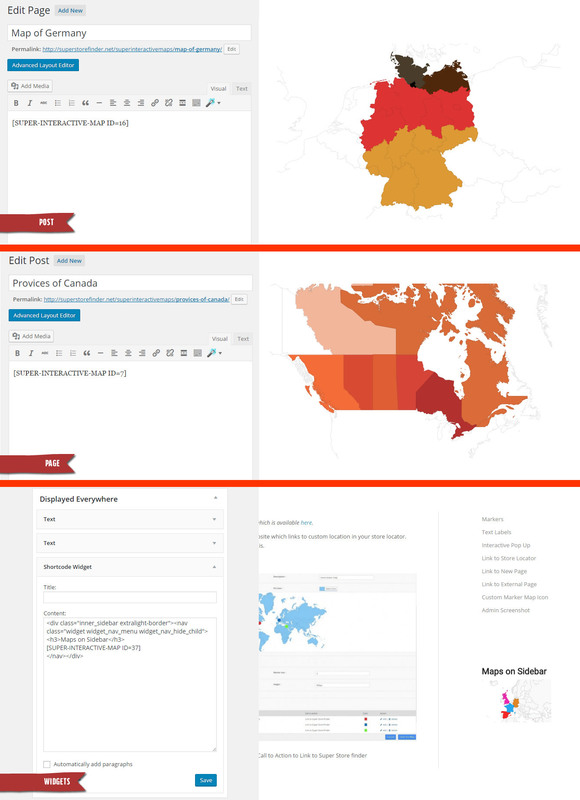 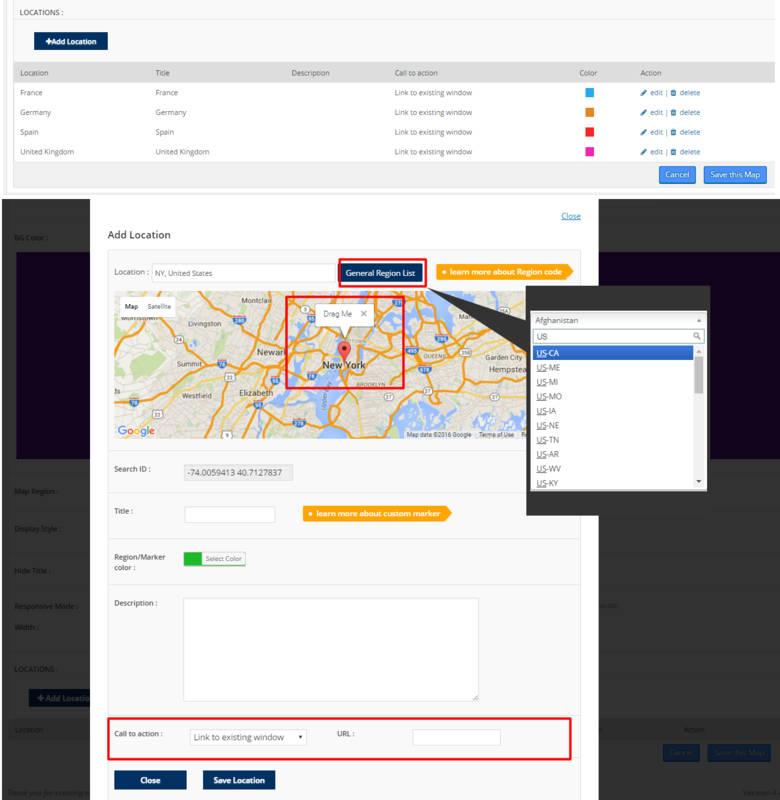 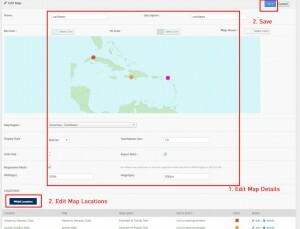 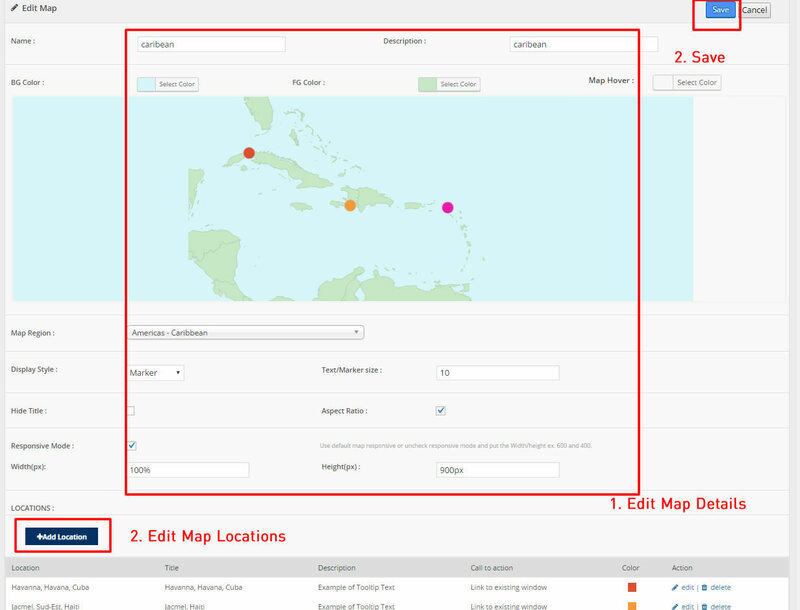 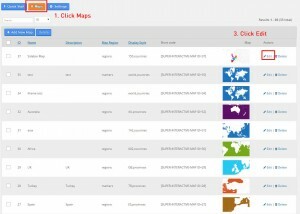 The map list view, where you can add, edit and delete maps as well as copy the shortcode on your website. You can add locations easily, either by entering the location via the autocomplete search bar, grab from region list or drag and drop marker to pin point to the exact location. 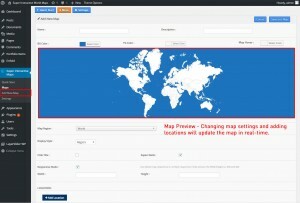 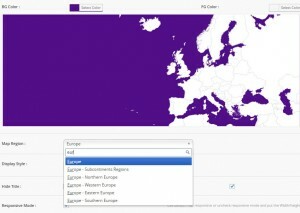 Easily use the Map Region Auto Suggest feature when creating maps. 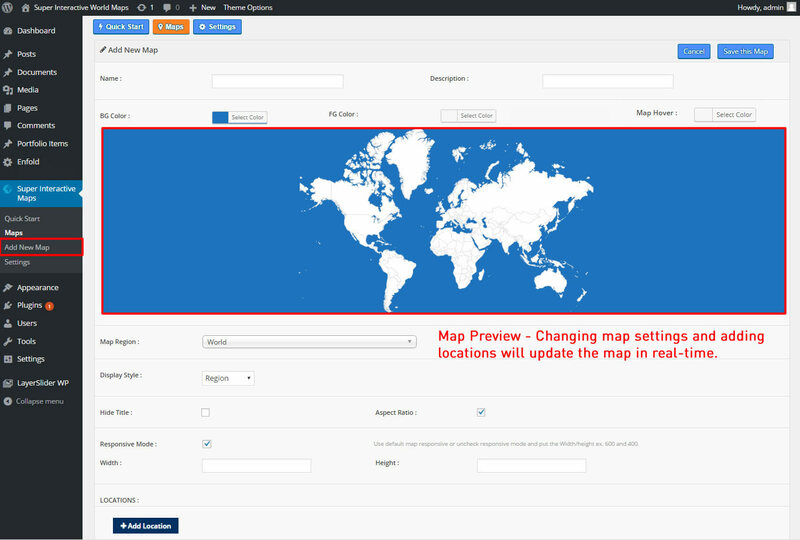 While editing the map and setting up locations the map will change in real-time.